I explore and re-write narratives that relate to my sense of self. Performance is my form. By performing I am creating acts in time to protect the ideas that sit very old within myself. Performance is the form to communicate the thing that matters for me. My work is about the everyday and about bringing your attention back to very basic images and processes that we no longer notice within our daily lives. I take situations, images and ideas out of context in order to heighten them. I look at perceptions of women as maternal, sexual and domestic figures. In performing I am attempting to escape these stereotypes associated with growing up and womanhood. I am trying to revert to a childlike state by removing or destroying these associations. Rachel is a Belfast based artist, born in Coleraine in 1994. She graduated in 2016 in Fine Art (sculpture/lens) from Belfast School of Art. 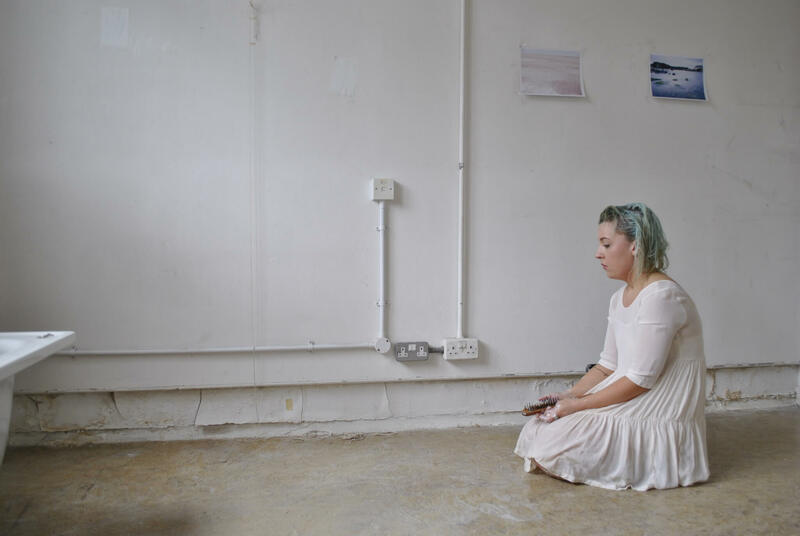 She is currently artist in residence at Platform Arts, Belfast and Belfast School of Art.